Iowa where she graduated from high school in 1993. Following graduation, she attended the University of Iowa and obtained her BA in Anthropology. Mika then moved to Seattle, WA where she worked as a middle school para-educator. 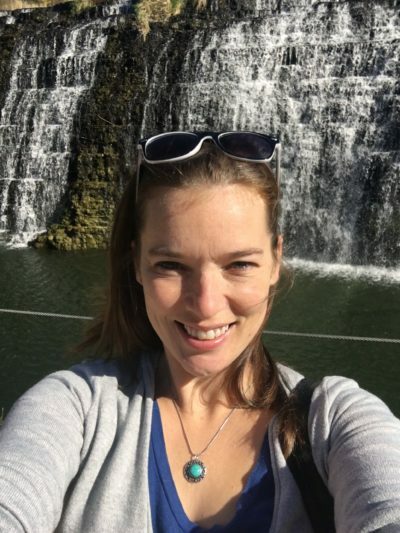 She returned to Iowa City to receive her teaching license through the College of Education in Elementary and Early Childhood Education with specializations in Reading, Social Studies, Science and Special Education. preschool on a farm outside of Iowa City. 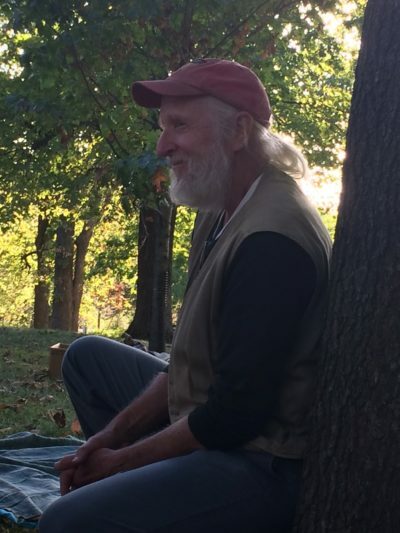 There she learned to let nature guide her in the development of curriculum by feeding and tending to animals, planting and maintaining gardens, and exploring the outdoors alongside her students. 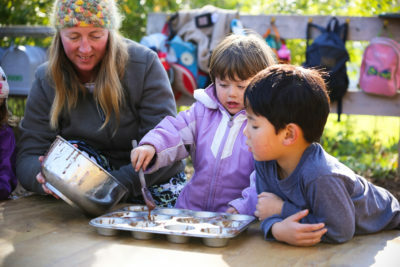 This will be Mika’s seventh year as Lead Teacher at Kinderhaus where she has been inspired by the Waldorf philosophy, European outdoor kindergarten and the amazing community of families and staff to provide a nurturing and compassionate environment, enabling children to learn and grow. 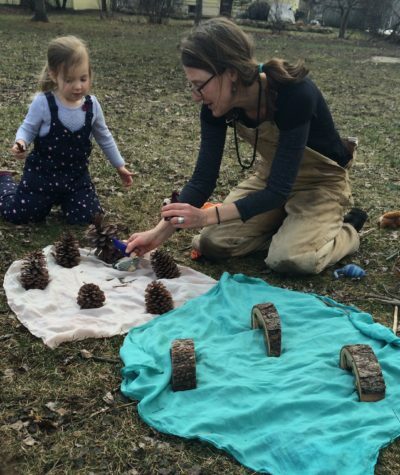 During the summers, Mika teaches at Kindernature, an outdoor-based early childhood learning program through Luther College. When Mika is not teaching at Kinderhaus, she enjoys spending her time reading, writing, being outdoors, bike riding, camping, hiking, cross-country skiing and most of all, spending time with her daughters, Lula and Freyja. Miss Kristin began teaching at Kinderhaus in its “early years,” and has since returned to us, bringing her songs and smile with her! Miss Kristin graduated from Luther College with a BA in Anthropology. An educator at heart, she has homeschooled all three of her children. In addition to teaching at Kinderhaus, Miss Kristin leads “Circle Song,” a parent-child weekly gathering for music and movement, with Otter Dreaming. Many of our songs at Kinderhaus are Miss Kristin originals! Gracie is in her first year as the Director of Kinderhaus! She graduated from University of Northern Iowa with a Bachelor’s in Psychology and then moved to Chicago for 9 years where she graduated from University of Illinois Chicago with a Master’s Degree in Early Childhood Education. In graduate school, she learned about many approaches to education, including Waldorf, and she highly values play-based learning for young children to grow and thrive in a creative, authentic, and meaningful way. She taught preschool for 5 years before relocating to Decorah to be closer to family and live a quieter lifestyle with her husband and 1 year old daughter. She is grateful to be a part of such a special community!